Don’t Miss This Little Peek! Thank you so much for your comments! 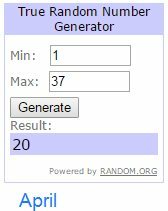 I let Random.org choose a winner for us and I’ll send April out a message on how to collect her prize. If you’d like a chance to win one of the latest creations, just leave a comment on this post. Wednesday night at around 10 pm we’ll choose two winners using random.org and then email them a way to collect their prize before it is available for sale! Love the colors in your new kit! How cute are those? Thanks for the chance to win. Wonderful kits. Thanks for the chance! Too hard to chose which I like best. Good thing I have a girl and boys. Always love seeing what new goodies you come up with! So cute! Mister Man looks adorable! Thanks for the chance! These are both adorable! Thank you for the chance to win! Bright and beautiful, just right for spring! Hope I win! Thanks for the chance.. These are so cute! Thank you so much for the chance to win!! Adorable!! Either of these kits would be amazing to win, thanks for the chance! Thanks for the chance to win, even though I never win anything! I love that there is no pink in the girl kit! And the boy kit is pretty awesome too. Thanks for the chance! Love both of them! Thanks for the chance! Adorable! would make beautiful desktop backgrounds! They both look great – I can see using the boy one for my daughter’s pages as well. Thanks for the chance to win! So cute! Beautiful colors. Thanks for the chance to win! Oh how I love your boys kits! Thanks for a chance to win! These kits are great! I have boys and girls I would love them both! I love both these kits! I’d probably end up picking Little Miss though so I can start working on my 3 weeks old baby girl’s pages! Thanks for the opportunity to win! Wowzers! These both look great. If I was forced to choose, I’d have to go with Mister Mister; being Mom of 3 boys, I’m kind of partial to the XY-kind. 😉 Thanks so much for the chance to win! Great kits! Thanks for the chance to win! These are both SO cute! I need the boys kit for my little grandsons! thank you for the chance to win! two more beauties. thanks for the chance to win. Always love your designs! These are no exception. I could use either of them! SO cute! 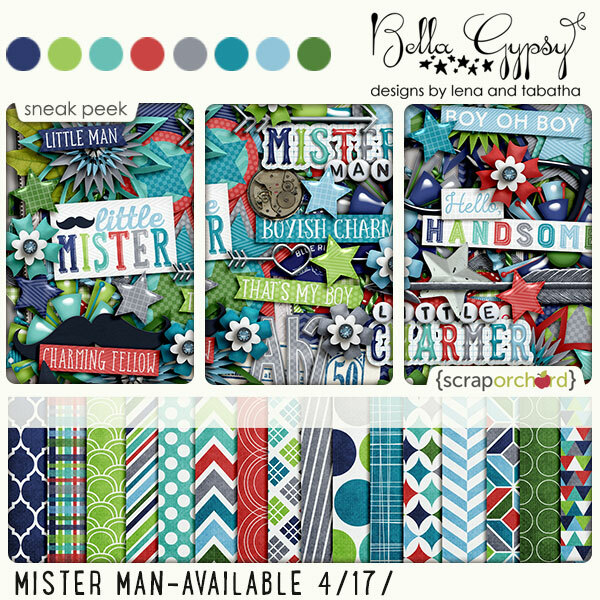 Great kits-I think I am leaning towards either the Mister kit…or the Miss. So hard to pick. Thanks for the chance. These are both so cute! !..thanks for the chance to win. Both look fantastic! Since I have a niece, I really love the Little Miss! thanks so much for the chance to win one of these awesome kits! Have you picked a winner yet? If not, I’m tossing my name in … love Bella Gypsy kits!